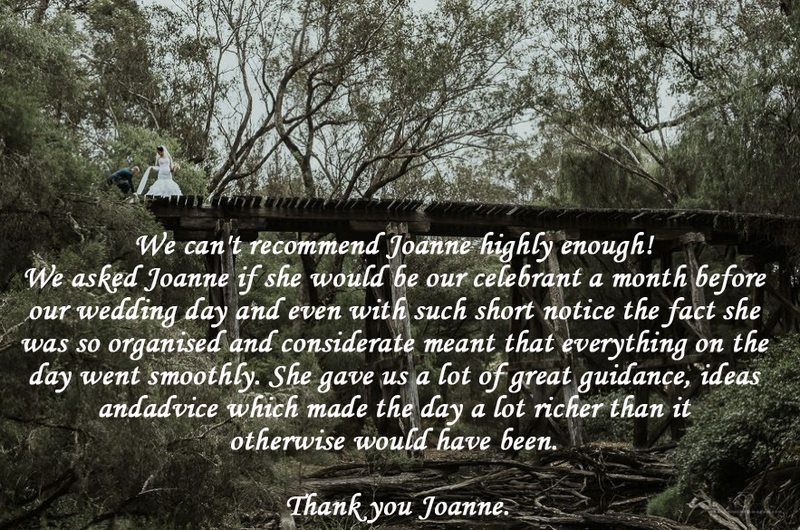 If you are thinking about having a wedding in Pemberton and seeking a Pemberton marriage celebrant, feel free to give me a call on 0416 218 799 or shoot me an email through this page and ask any questions! I have conducted several weddings on this 160 acre estate and each has had very unique, breathtaking and unforgettable outcomes. The beauty of any wedding or commitment ceremony here is that there are so many choices as to where the ceremony can take place, options for your Plan B (in case the weather is inclement) and it is worth the travel for families that are travelling within Australia or from overseas for an overall experience. Ceremonies can be held against backdrops of lush forest, trufferie, rivers and dams and the entire region of Pemberton is simply picturesque. Feel free to request to view a Wedding Ceremony in Pemberton with Joanne Armstrong – conducted in 2016. This particular ceremony combined cultural influences from both sides: South Korean and Italian.